Khan Market, Pragati Maidan and Shahpur Jat are becoming one of the famous breakfast hubs in Central Delhi. All-day breakfast is the flavour of the season! Khan Market, Pragati Maidan and Shahpur Jat are becoming one of the famous breakfast hubs in Central Delhi; diners are now on the lookout to grab a healthy breakfast at these areas. Here are the five best restaurants in Central Delhi where the diners can have breakfast, starting as early as 7.30 am. Rustom’s showcases Parsi delicacies beyond the popular favourites—Dhansak and Salli Boti —focusing instead on the rich culinary diversity of the cuisine. Rustom’s is named after Kainaz Contractor’s father, V. Adm (retd.) Rustom F Contractor. Her father’s transferable job and the general 'foodie nature' of Parsi families can be accredited for her obsession with food. Kainaz has always longed to open a Parsi restaurant that would serve, not Irani-café fare, but food that one would find in Parsi homes with recipes that have been passed on through generations. Rustom’s is now one step closer to offering the only true-blue Parsi dining experience in New Delhi. Café Lota is one among four restaurants owned by the Melting Pot Food Company. The café opens at on 8 am from Tuesdays till Sunday and at 12 pm on Mondays. It is located beautifully in the heart of Delhi at The National Handicrafts Museum, Pragati Maidan, where artisans from all over India showcase their craft and handiwork. The whole point is to try and revive indigenous Indian craftsmanship and promote it; café Lota is trying to do the same with Indian food! Some of the signature bestselling breakfast items are keema paratha, quinoa upma, sabudana popcorn, and our single estate coffees. Their filter kaapi and masala chai are the most preferred beverages with the breakfast options and the steamed Ladakhi bread and ragi-sesame bread from their bakery are quite popular. The group has just opened a new restaurant in Aerocity called Monsoon. The place is frequented by expats, media, bureaucrats, actors, international sportspersons and tourists and remains full pretty much all day because of the amazing food they serve. Some of the favourites are the Eggs Benedict, Lambshroom Burger and the European Berry Bowl. Most people order Ab-soy-lutely (Smoothie) and the Oreo Shake with their food. Tucked away in Shahpur Jat, Ivy & Bean is a cosy place with a brilliant all-day breakfast menu that is open to the public since 7.30 am. Frequented by designers and regulars, the costs at Ivy & Bean has to be kept low and the menu doesn’t change too often since it's in Shahpurjat and the regulars come for a meal almost daily. The average cost for a meal for one comes to around Rs. 700 including a soft beverage, which is mostly cold brewed coffee. According to chef Radhika Khandelwal, who is not just the chef but also the owner, the egg dishes and pancakes are the bestsellers for breakfast but these items sell throughout the day as well! They open at 8.30 am. The menu is predominantly authentic Parsi with hints of local Bambaiya food like the Bombay vegetable curry, Vada pav with a twist like the bacon Wada pav (which is incidentally Chef Anahita Dhondy’s recommendation to cure a nasty hangover as it has potatoes and bacon and just the right amount of carbs to make your stomach happy), the chicken chilli cheese pav, the poro (the Parsi flat omelette) with all kinds of herbs, vegetables and meats, and many others. The décor of SodaBottleOpenerWala amazingly strikes you first - antique to the core, Iranian-café feel, red and white checked tablecloths with crochet-lace borders, painted glass all around, the old-world touches like cameras, round, black switches, big jars with toffees at the counter, and so on. 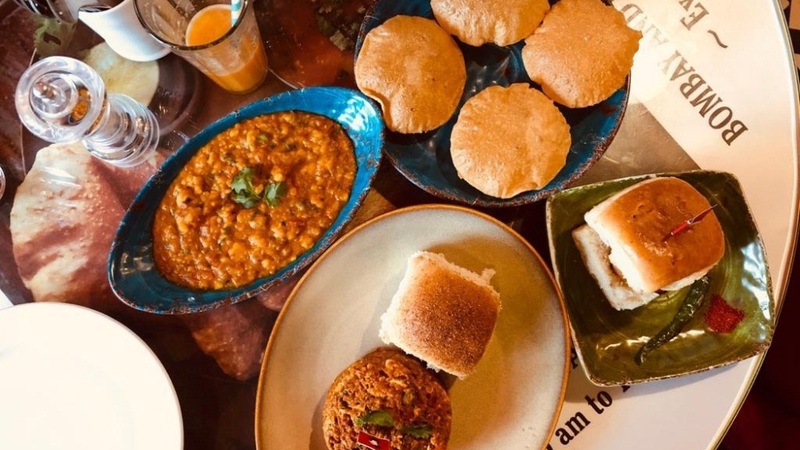 The breakfast options that are more liked by the diners at the Khan Market outlet are – Poro ( it comes in four flavours), bun maska with chai, poori bhaji (served only in Delhi/NCR region), keema ghotala (minced mutton with eggs in a spicy scramble, served with a pav) and bacon vada pav. “No other place gives you the feel of the Bombay vibe with the kind of breakfast culture that they have,” she adds. Tips To Succeed As A Franchisor..
Indian Education Sector Needs Edupreneurs..